As part of his National HIV/AIDS Strategy, President Barack Obama mandated that Executive Branch departments and agencies with HIV/AIDS programs come up with an implementation plan for the strategy within 150 days (by Dec. 9). 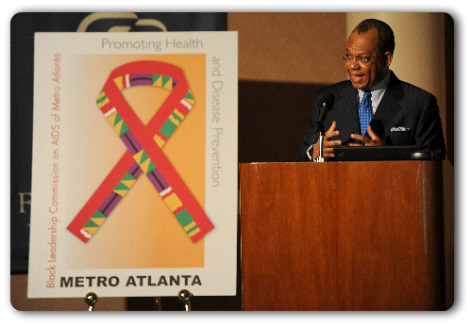 The National Black Leadership Commission on AIDS, in collaboration with other national organizations and local leaders, is hosting community meetings in New York, Washington, D.C., Jackson, Miss., Atlanta, Los Angeles and Detroit from Sept. 16 to Oct. 12. The purpose of the meetings is to elicit input and recommendations to ensure that the National HIV/AIDS Strategy adequately addresses the unmet prevention, treatment and care needs with the African-American community. We are seeking participation in these meetings from clergy, health practitioners, persons living with HIV/AIDS, community-based organizations, direct service providers, community activists, policy makers and other concerned citizens.